Film Review: "Room 237" | Movies | Style Weekly - Richmond, VA local news, arts, and events. Film geeks will love the cult theories buried in director Stanley Kubrick's horror masterpiece, "The Shining," including a kiss-off to writer Stephen King when we briefly see a crushed red Volkswagen Beetle (King's car). 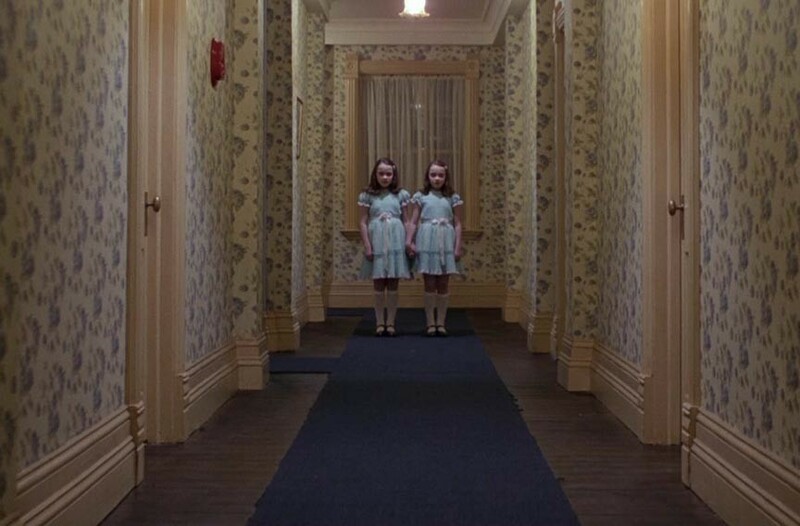 The first thing you realize while watching "Room 237" is that you haven't seen Stanley Kubrick's "The Shining" enough. You definitely haven't seen it as many times as the people in the film pontificating on its riddlelike construction. "Room 237" is less a documentary than a compendium of ideas that have been floating around about Kubrick's film since its release in 1980, all presented in voice-over while images from "The Shining" and many other Kubrick films play across the screen to illustrate various interpretations. The result is part film theory, part conspiracy theory and at least part stoner theory, although no drugs are referenced — directly, at least. Those who have already delved into the maze of websites devoted to "Shining" theories will be able to follow along easier. The film's main failing is its complete lack of context. Its style is to allow the theories to build like corridors and layers of the Overlook Hotel, but without ever telling us who these people are, or what authority they have, if any. It does a good job arranging their musings, but the only reason to believe any one of them is if it sounds good to you. Maybe you agree with the guy who thinks "The Shining" is all about the Holocaust. Maybe you don't. The point is simply to indulge in interpretations and draw your own conclusions. While the filmmakers should have taken a few moments to tell the audience about its theorists and maybe put them on the screen, even without this information "Room 237" is riveting material, ranging from fascinating analysis to outlandish conjecture and everything in between. The strongest theories see the film as a meditation on humanity's capacity for violence on huge scales, as a metaphor for genocide. One places its bet on the extermination of the American Indian during the colonization and settlement of the New World. The documentary could have been solely about this avenue of interpretation and been worth seeking out. I found it the most convincing, but also allowed for its convergence with the Holocaust theory, a leap unavailable to "Room 237" without any central narrator. Less compelling but just as enjoyable are those interpretations that see things not in the film but on the film. There's the woman (at a certain point, maybe 10 minutes in, you lose track of who's talking) who sees a minotaur in a ski poster in the Overlook, and launches into a tear about mazes in ancient myth. It's impressive, even though it never convinces you that the skier is a Minotaur. Another ardent viewer sees sexual innuendo everywhere, linking it to Kubrick's supposed study of advertising. Others have spent untold hours (weeks? months? years?) mapping out the hotel, noting its many geographical inconsistencies. But are those inconsistencies purposeful or just shortcuts by filmmakers who never dreamed anyone would make a map of the set? Difficult to say. While most of these theories — and one of the film's points is that they are legion — are at least entertaining, a few go nowhere. One viewer insists that Kubrick placed his own likeness in the clouds during the opening credits. Bonus points if you can find it. I couldn't. No matter how much the documentary slowed down the image, I saw clouds. But even if it was there, who cares? My favorite just for audacity is that "The Shining" is a coded admission that Kubrick faked the moon landing for the U.S. government. Boy is it impressively reasoned. But don't moon-landing-conspiracy theories fail to see the difference between faking something and staging it? The latter is entirely possible on the actual moon. Either way, I think Kubrick would have done a better job.